Are you planning to follow a ketogenic diet? Well, if this question has confused you, a ketogenic diet is a low-carb, medium-protein and high-fat diet which has been found to improve heart health, lower blood sugar, improve insulin sensitivity, help in weight loss, promote nervous system health and cognitive functions and offer many other health benefits. While adopting a keto diet, the biggest problem is that most people are raised on high-carb diet and so, it’s difficult to imagine a carb-less diet. Here are some foods that you can eat to follow your keto diet and their benefits. 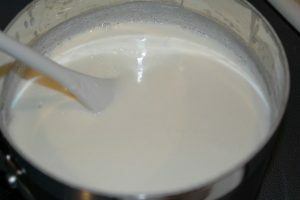 Greek yogurt and any other low-carb yogurt can be called a keto yogurt. Greek yogurt contains fermented milk which is loaded with beneficial bacteria that offers health to your gut and keeps you overall healthy. Keto yogurt as well as cottage cheese without added sugar help stabilize blood sugar and insulin levels. They also contain protein which keeps you full and improve your energy level. 5 ounces each of keto yogurt and cottage cheese contain 5gm of carb. Cottage cheese offers a higher dose of proteins i.e. 18gm compared to 11gm in yogurt. Since both are higher in protein and lower in fat, consume them in moderate amount. Also take care to choose both these foods sourced only from grass-fed cows. Other excellent sources of healthy fats are non-dairy coconut milk and coconut milk yogurt. Both these contain medium-chain triglycerides that accelerate metabolism, help balance hormones that can affect your satiety and mood, and energize your brain. 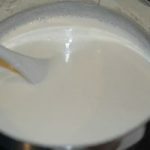 Moreover, high fat level in coconut milk and its yogurt show a paradoxical association with risk factors for heart disease. Consumption of these two prevent plaque formation in arteries and bring about reduction in occurrence of heart attack and stroke. Consuming fish with your keto diet is an excellent way to optimize your intake of omega-3 fatty acids. Especially wild-caught fish like sardines, mackerel and salmon offer protection to cardiovascular functions, stop neurological degeneration and offer antioxidant protection to improve cellular health. 100% grass-fed, organic beef and farm-raised poultry are foods that are essential to consume along with a keto diet. They protect you from hormones, toxins and dangerous agents that can accumulate in conventionally raised meat. Farm-raised poultry and grass-fed beef consist of omega-3 fatty acids that promote heart health and brain function and balance blood sugar levels leading to better weight control. Conjugated linoleic acid (CLAs) regulate cardiovascular functions, support your immune system and boost metabolic functions. You can essentially eat eggs while following a ketogenic diet because they are great sources of protein, consist of only 1gm of carbs (in 1 egg) and offer satiety. Though considered bad for cardiovascular health, egg yolk is actually the main part in an egg that offers all the health benefits. It’s the part of egg where all the vitamins like A, B12, D, E and K, and minerals like iron and folate are concentrated. While several fruits should be limited to promote and maintain ketosis in the body, a small amount (a handful) of berries offer important anti-inflammatory benefits. They are loaded with phenolic compounds including tannins, flavonoids and anthocyanins which reduce cardiovascular risk, promote anti-carcinogenic activities and show anti-inflammatory responses inhibiting tissue damage that may lead to complications in diabetes. In addition to these, there are many more foods including low-carb veggies like Brussels sprouts, broccoli, kale, cauliflower and cabbage, unsweetened tea and coffee, dark chocolate and cocoa powder, nuts and seeds and many more that you can eat and happily follow your keto diet. So, don’t miss the health benefits of keto diet while keeping your taste buds satisfied.